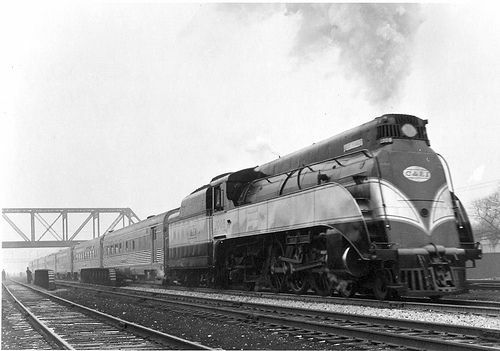 Thank you Classis Trains for showing us the precious photo of streamlined Louisville & Nashville 4-6-2 hauling the South Wind. 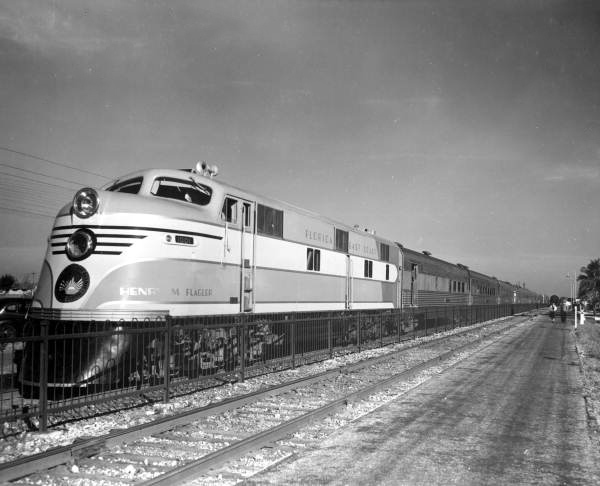 The South Wind was another Fleet of Modernism train pushed by Pennsy and operated jointly by the Pennsylvania Railroad, the Louisville and Nashville Railroad, the Atlantic Coast Line Railroad (later became Seaboard Coast Line), and the Florida East Coast Railway. Beside the Pennsy, all railroads who run the South Wind wanted the train hauling by diesel engine but PRR "initially rejects diesel for its portion of the South Wind"
"K4s No. 2665 and 1120 streamlined at Juniata Shops to a simplified design by Raymond Loewy for The South Wind; tender No. 6806 streamlined next day; L&N also streamlines several Pacifics and FEC assigns an E3 diesel. In 1941, PRR orders first passenger road diesel (A EMD E6A/B set), a 4,000 HP A-A combination, for The South Wind; order later canceled by War Production Board." Do you know what kind of engine the SAL used for the South Wind? Thank you in advance! SAL was not used in the route of the South Wind. To my knowledge, ACL used their regular passenger 4-6-2's on their segment. 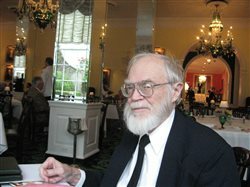 The only diesels the ACL had at that time were some yard engines and the locomotives used on The Champion, also a lightweight streamlined all coach train operated between Miami and New York, with the ACL operating if from Jacksonville to Richmond. 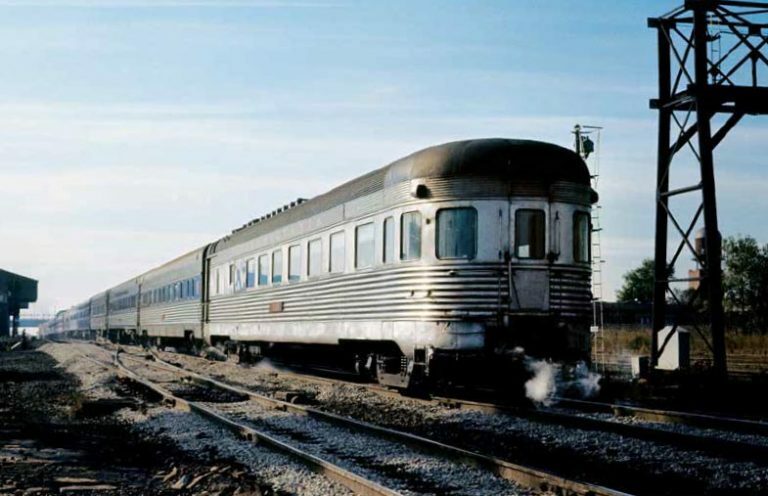 I find it somewhat curious that all the original streamliners, The Champion, The Silver Meteor, The Dixie Flagler, The City of Miami and The South Wind - were all all coach 7 car trains with nominally the same mix of equipment. 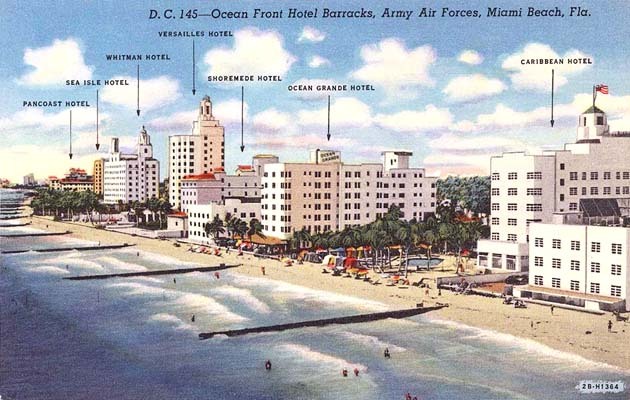 Balt, it is interesting that there was very little difference in the equipment from train from train to train in the three that ran in successive days between Chicago and Miami. Another item: was each train really turned and ready for departure from Miami about an hour and a half after arrival? There must have been one or more cleaners assigned to each car. I found a neat musical number concerning the "South Wind," and a color shot of one of those L&N streamlined Pacifics shows up at around 1:35. Interesting question... Maybe there was some coordination between these railroads? Or maybe it was because it allow the whole train posing on a postcard? A mixed consist of the Dixie Flagler... maybe HW car provided better riding quality?